For Christmas my mom had an 8×10 canvas of the picture of Nolin and I walking in Ireland made for me. This now hangs up in my office at work beside my “O’Brien Family Adventures” collages from 2007-2010 that Jenn makes me each Christmas. Unfortunately it is March and I have yet to see the 2011 adventures (hint, hint). This has also raised several questions in the office as people keep looking for the updated picture. 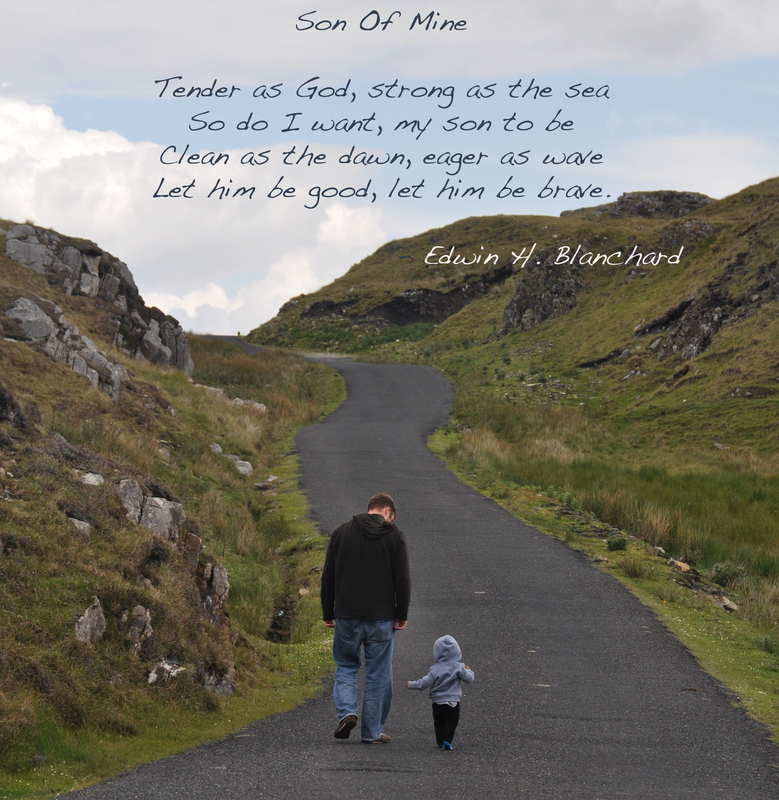 Anyway, a co-worker of mine Kathie came in one day and said that the picture of Nolin and I in Ireland reminded her of a poem she had framed at her house when her son was born. 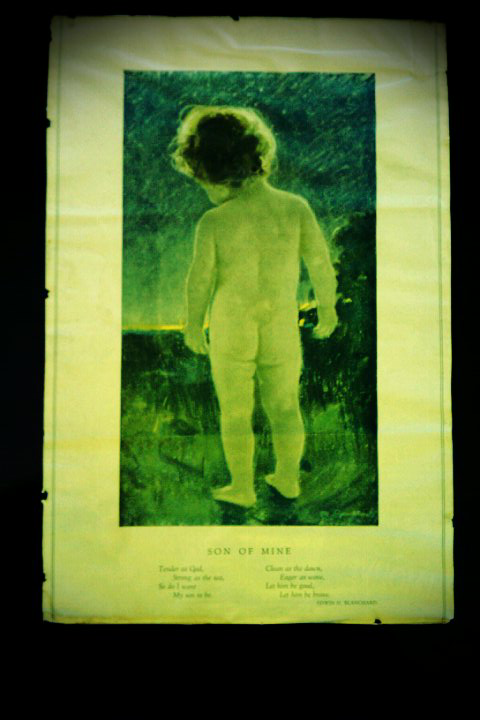 It was a full-page picture in a magazine that she ripped out, framed and kept. Kathie brought the picture in to share with me, and it was kind of cool to see something her family had held onto for many years. In the digital age we will probably lose some of the antiqueness of these types of keepsakes, but I also hope that long after I am gone, Nolin will have a running account of the memories that I will hold onto for years to come. Wow! That brought the tears. How special and how well it fits the picture. What a perfect gift. Thanks for sharing it with me. patrick….WOW…just a great blog and what a beautiful poem. thanks for all the wonderful moments you share with all of us!